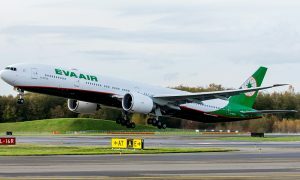 Boeing and EVA Air celebrated the airline’s first double delivery as the airline received its 16th and 17th 777-300ER (Extended Range) airplanes. Taiwan-based EVA Air will be the first airline in the world to operate 777-300ERs with Panasonic’s complete state-of-the-art eX3 in-flight entertainment system. The Panasonic eX3 in-flight entertainment system on EVA Air’s new flagship 777-300ER features in-flight Wi-Fi connectivity and high-definition video touch screens at every seat. 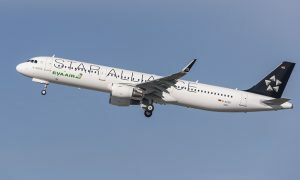 The airline’s first double airplane delivery also helps mark the airline’s 25-year anniversary. The Boeing 777 is the world’s most successful twin-engine, long-haul airplane. 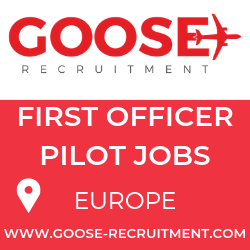 The 777-300ER is equipped with the world’s most powerful GE90-115B commercial jet engine, and can seat up to 386 passengers in a three-class configuration with a maximum range of 7,825 nautical miles (14,490 kilometers). 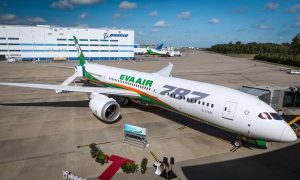 With this milestone double delivery, EVA Air will operate 17 777-300ERs in its fleet of 49 total Boeing airplanes. Boeing airplanes account for nearly 60 percent of its EVA Air’s entire fleet. The airline is featuring its exclusive new Royal Class business cabin on these airplanes and will use them to add more flights on existing routes in North America.